With the Summer temperatures hovering around the 70’s and 80’s the fish are starting to run their summer patterns. Slowly moving out of the shallows to around 10′-20′ looking for the deeper weeds. 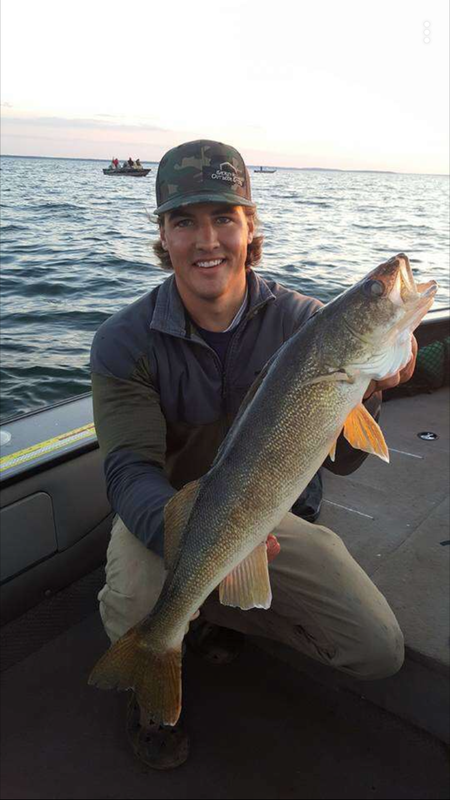 Walleyes are still somewhat active with a jig and minnow, but switching to a lindy with a leech or crawler will make things easier! Look for the taller standing weeds in 15′-20′ of water during the day and moving into 8′-16′ through out the night! Bass- Again leaving the shallows looking for 6-12″ and weeds. Tie on an Outkast “RTX Jig” and pair it with a Yum “Craw or Chunk” trailer for a killer combo! Crappie / Sunfish- Some fish still surprisingly on beds in the area. Most of the others will be in the weeds or deep running structure in 6-14″ looking for a slip bobber and VMC “Hot Skirt jig” tipped with a crappie minnow or small leech!